Would like to submit a “retiree” photo of SMSgt Ronald Izutsu, 154th Wing Contracting. We both attended CMSgt Rolland Tang‘s memorial service. 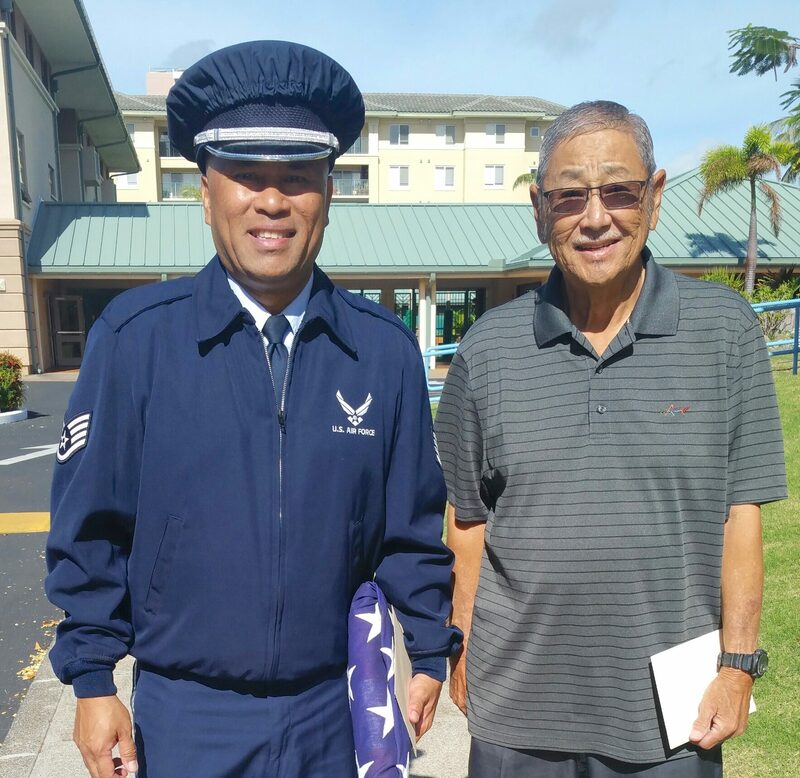 SMSgt Izutsu was a longtime friend of CMSgt Tang and I was part of the Honor Guard team that rendered military honors for CMSgt Tang. SMSgt Izutsu was also my first supervisor when I joined the HIANG in 1986. Darrell serves as a personalist with the 204th Airlift Squadron. He has been a member of the Air Force Honor Guard, providing military honors for ceremonies and funeral services for many years.